​Be part of School for Life! Come to Siem Reap, Cambodia! Have an unforgettable life experience with us! 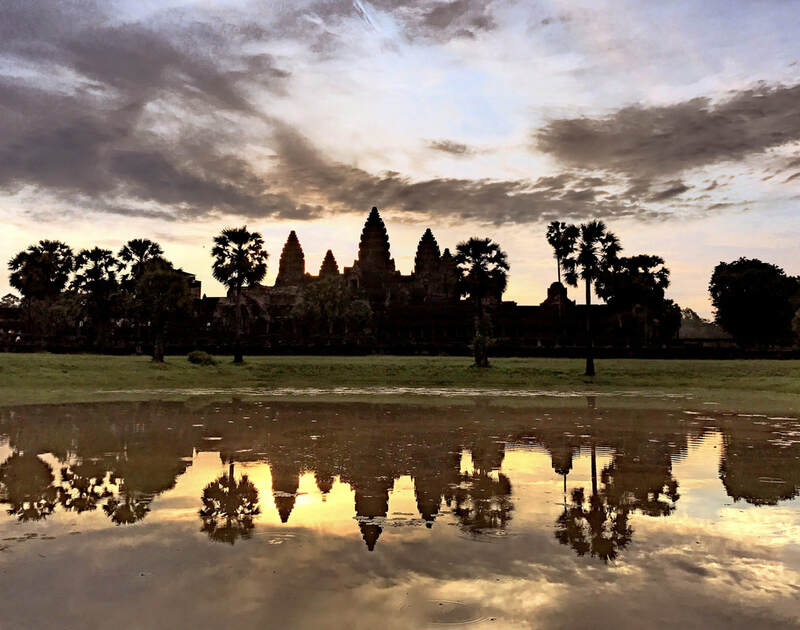 There is no better way to experience the incredible UNESCO World Heritage Site, Angkor Wat, but combine it with an unforgettable volunteering experience working alongside local residents to improve their community.. Being one of the most famous travelling destinations in Asia, Siem Reap is culturally diverse and exciting. However, the facade of this wealth only casts a slight shadow over the immense poverty that is very real and prevalent in the city. ​Despite attracting over 1 million visitors to Angkor Wat alone, Cambodia is still very much a third world country and in desperate need of help from volunteers. Students are dropping out of school in Cambodia! ​In 2015/16, 39.2% of the grade 12 students did not finish the school year. This situation is far worse in the rural area of Cambodia including Siem Reap where PeopleStories is currently on the ground working. You can make a tangible difference! Join us to help students complete school and provide better quality learning experiences. Day 1: Come and meet your group leader and fellow members at our orientation at the chosen hotel in Siem Reap. We will cover the essentials for the coming days, share a royal Khmer set-dinner, get familiar with the Khmer culture and finish the night with a walking tour at the local night market in Siem Reap - Pub Street. Day 2: Our project at the school in rural Siem Reap will start on this day, where we will be working in small groups to coach students various talent activities (in the classroom as well as outside). In the afternoon, we will visit a market where the locals get their daily supplies and anything you can (or cannot) think of! After some free time to re-energised, we will meet up for dinner and then enjoy the performance of the famous Phare Circus (made in Cambodia). Day 3: Today, we will visit Angkor Wat, the largest sacred structure in the world and 2018 #1 Landmark! We will visit jungle-enveloped Ta Prohm, Angkor Thom City and Bayon Temple. Learn about the centuries-old monuments from a professional guide. In the afternoon, we will visit a local handicraft workshop and learn about some of the local arts. Perhaps purchase a few souvenirs to take home? In the evening, we will share a meal together at a local restaurant. Why not have a massage to relax a bit to end the night? ​... plus so much more! Ready to go?! be a volunteer with us today!